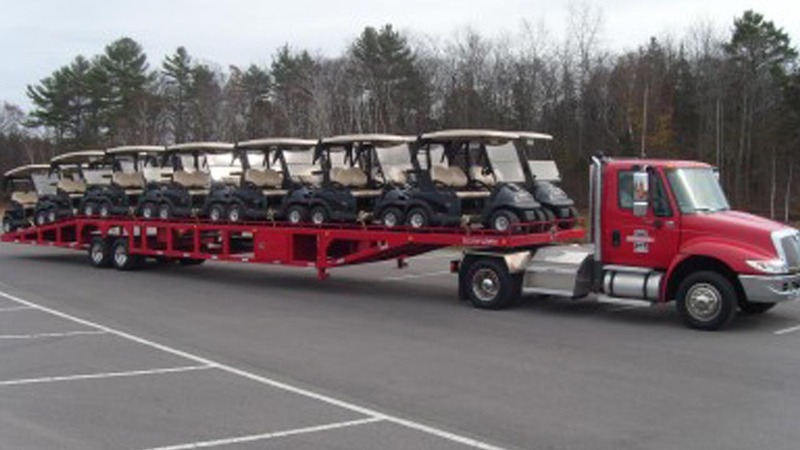 Our 3 Car Haulers are the perfect way to enter the car hauling business or to haul small loads regularly. The tube steel design and powdercoat finish make Sun Country Trailers a leader in durability. 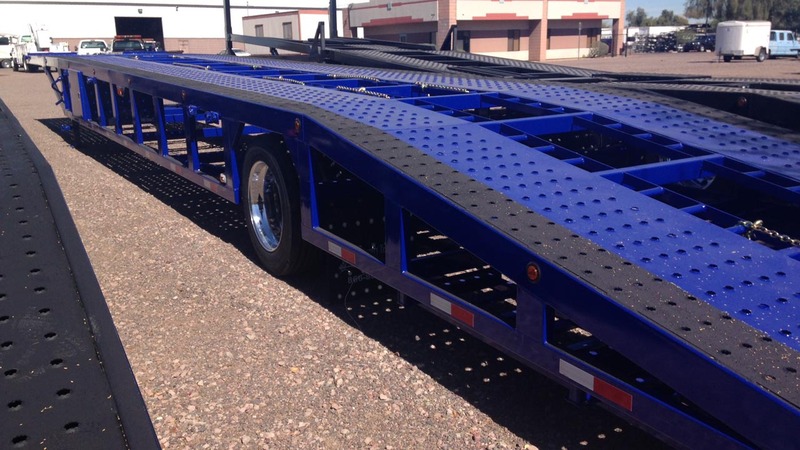 The Sun Country Trailers Wedge is the perfect car hauler for moving small loads. Ideal for the Owner/Operator with a bed on a 1 ton truck or larger. The wedge shape of this car hauler provides the clearance necessary to miss the sides of the bed as well as the tailgate. The Sun Country Trailers 53’ Drop Deck can handle a mixed load of small cars & higher profile passenger vehicles. 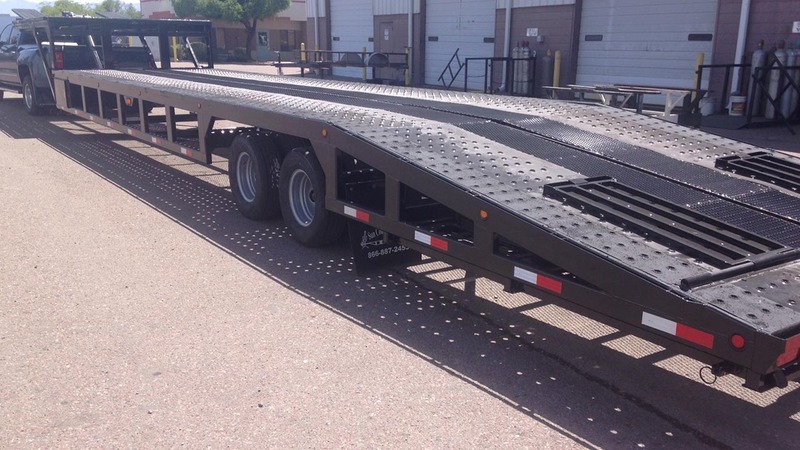 This trailer is ideal for 1 ton trucks or larger. 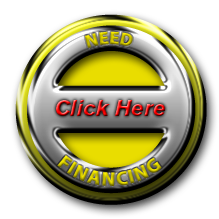 The Sun Country Trailers 53’ Lo Pro is the perfect car hauler for moving higher profile passenger vehicles. 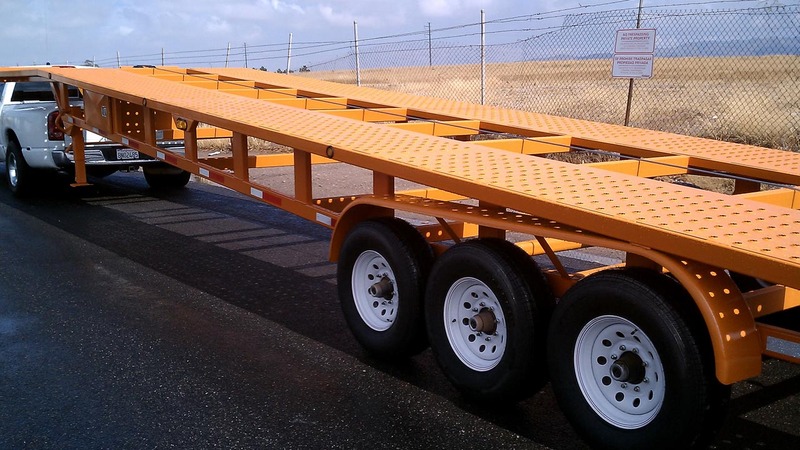 Easy to load and unload this trailer is ideal for cab & chassis set-up. This is our original Road Tractor car carrier. With 53’ of useable space it became popular for clients who haul high profile vehicles, such as vans or full size trucks. The Air Ride provides both a better ride and a dump valve to lower the suspension to ease loading and unloading.